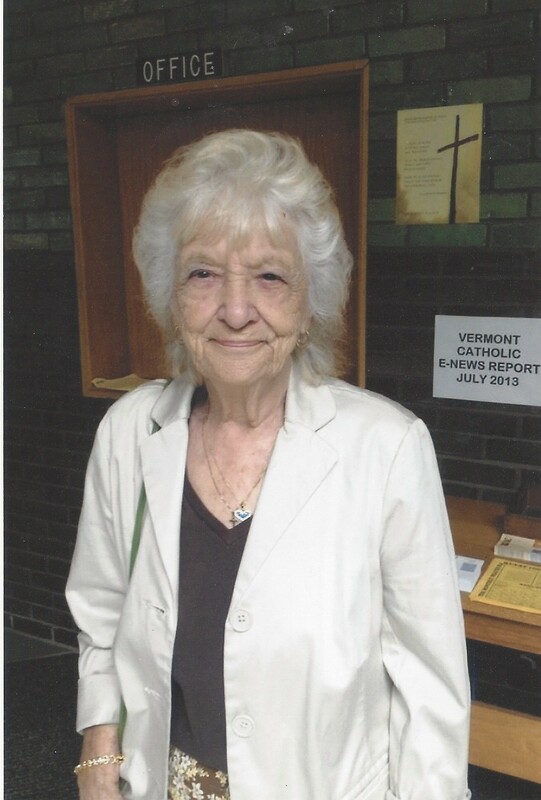 Doris R. (Shepard) Parent, 89, a lifelong resident of Winooski died Sunday, August 24, 2014 at Fletcher Allen Health Care in Burlington surrounded by her loving family. Doris was born in Winooski on June 11, 1925, the daughter of Wilfrid and Viola (Guyette) Compagnon. She was married at St. Stephen Catholic Church in Winooski to Carl Shepard, who predeceased her on June 1, 1990. Doris was employed for many years at the American Woolen Mill, and the University of Vermont from where she retired. She enjoyed music, playing guitar, singing, dancing and yodeling, and an avid bingo player but mostly being with her family. Doris is survived by four children, Brenda Bascom and her husband, Roland, Carol Parker, Rebecca Parker and her husband, Steve, and Carl E. Shepard, Jr.; 13 grandchildren; 32 great-grandchildren; 10 great great-grandchildren; her sister, Constance Benway; her special nephew, Bruce Hamlin and his wife, Vicki; several nieces, nephews, and extended Shepard family. She was predeceased by her son-in-law, Harvey Parker; her sisters and brother, and many relatives. Funeral services will be held at the funeral home on Friday, August 29th at 11 a.m. Interment will follow at St. Stephen’s Cemetery in Colchester. On line condolences can be shared with the family at lavignefuneralhome.com.